I was in a meeting in the last week or so where someone had posed an “either/or” question to those in attendance. 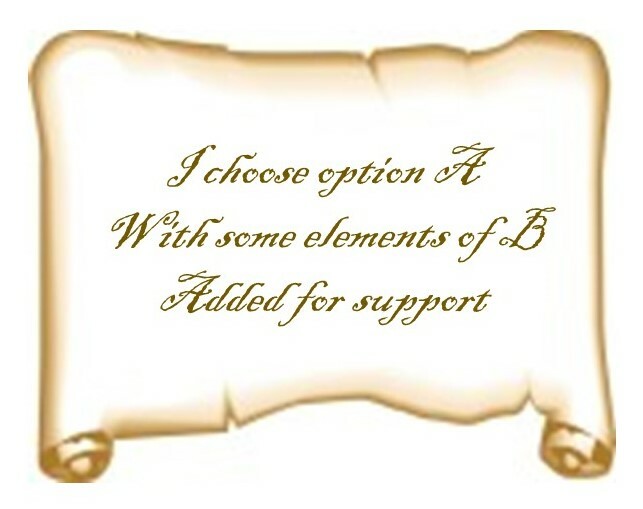 Something along the lines of: “Are you in favour of option A or option B?” It wasn’t a simple choice, and I think I was the first to attempt to respond. I did so by exploring the merits of both choices as I thought both had some merit. In doing so, I suppose I was speaking eloquently but I wasn’t really answering the question posed and eventually the person who asked the question interjected to ask me to make the simple choice requested. For some reason, the venerable Japanese art form of Haiku poetry has been prominent in my life over the past several months, and I have become enamoured by its simplicity and brevity. Haiku is a three line poem with five syllables in the first, seven in the second and five in the third. Seventeen syllables in total to express a complete thought or concept. A coach/mentor (Karl Grass, author of Compassion Haiku) I have worked with over the past year introduced Haiku into his repertoire. Karl found that the artistry of the form engaged the right hemisphere of his brain, introducing creative thought into his otherwise logical thinking. Our coaching certification class further embraced the form for us to encapsulate our learnings into powerful thoughts. 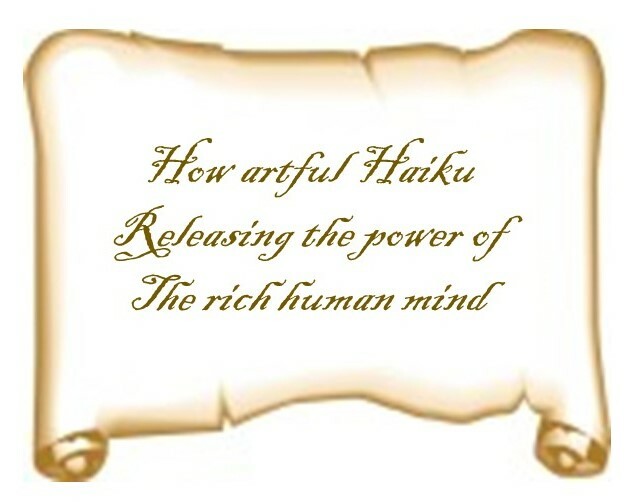 A fellow blogger has also recently come to find Haiku a meditative and entrancing way of expressing herself, and we are challenging encouraging each other to regularly express ourselves in this form. But without summarizing at the end of such a working session, we are at risk of having all of that good inquiry and discovery slide away. Perhaps even worse, without summing up we are at risk of having people leave the room with differing solutions, outcomes and agreements in mind. Do we take the time to boil down all this great work into a simple, concise statement that we can all agree to as what we are taking forward? What if we as leaders held this metaphor of Haiku in mind as we help our teams capture the value they create? I realize that a mere seventeen syllables may not always be adequate for this task, nor is a poem something that we can always use as a medium of business communication. But what if we at least honored the spirit of Haiku? What if we challenged our teams to create concise summaries to take out of meetings and mobilize individual efforts going forward? I would love to hear your thoughts on this. I’d even like to take this further. How might we introduce other artistic modes into our work environment to stimulate more creativity? What comes to mind? Ian, I can so relate to this post. I sometimes ‘go long’ in talking because based on a gut feeling I want to explore a topic but am not yet sure why. So I talk and the words fall out and can drone on (not saying you did that 🙂 ) I guess I’m processing – thinking out loud – and eventually the point comes out. This happens especially if a question like this is posed without warning. I imagine if your question was posed via email or the two options were sent in preparation for the meeting, you would have had time to think about it and may have very well uttered those 17 syllables. Don’t you think? What occurs to me now is that when either/or questions are posed we can check-in with the initiator to understand her/his intention … is it to stimulate debate or quickly gather initial positions? Ian, I really like the idea of Haiku for honing our thoughts and delivering a powerfully concise message. Its also opens up creativity and new ideas! Things are rarely as simple as either-or and it limits peoples thinking. Thank you for your thoughts Val. Creative arts and management is a new space, but one with merit. It brings the second half of our brain in to play in decision making, and its never a bad thing to access more brain power! I loathe either / or options as they leave no room to elaborate on ‘why’. That is so true! In my comments to Andrew I referenced one value proposition from either/or. In some cases such a polling mechanism does require us to shorten our answers so as to gather the information quickly. Brevity can be an asset … even for us writers!! Very timely Ian and thank you for introducing the art of Haiku. This very well could be the NBT for me in fine tuning my key messages, especially for the C-suite. To your point, I struggle with either/or choices or approaches. Mainly, because these close down opportunities. In recent readings on strategic leadership, the recommendation is to strive to be an “and/also” thinker and move away from “either/or” thinking in an effort to create openness. I’m pleased to connect what I’ve been reading about with your shared experience. Thanks for that Ian. Great post!